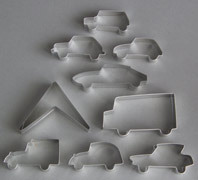 My collection of hand made Cookie Cutters of tin plated steel. 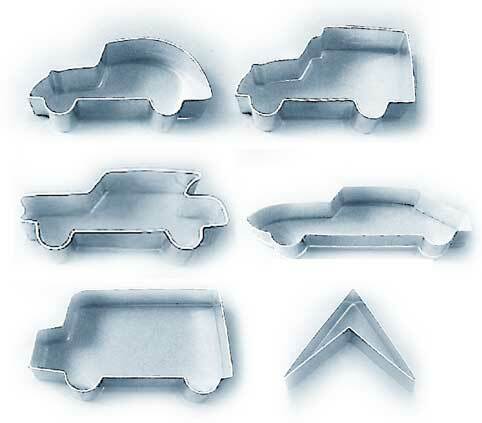 Cook your own Citroen family! They also look nice as kitchen decoration or hanging in the christmas tree. 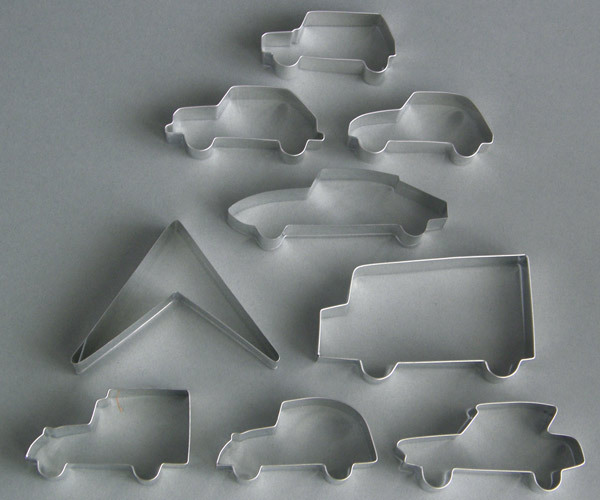 Cookie cutters in different car shapes. For bigger quantities etc, ask for information.